Pursuit Fishing – Angling for Adventure. 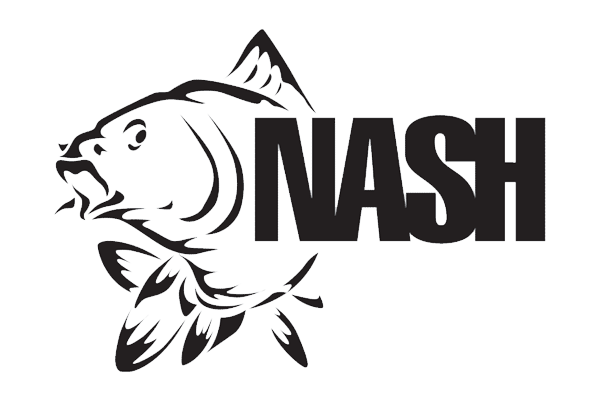 Where angling meets outdoor lifestyle and the Pursuit of adventure. 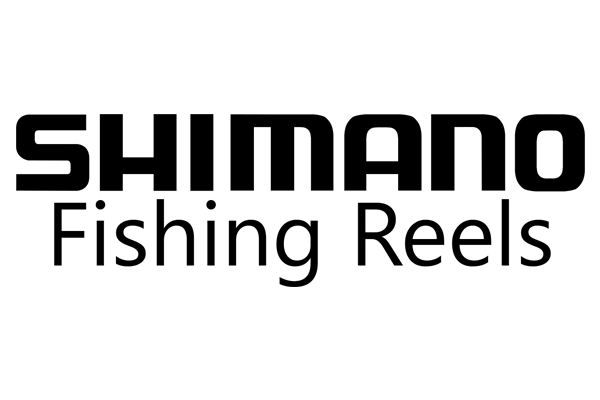 Pursuit is an angling, TV media and lifestyle brand supported by its own TV series here in the UK and distributed to over 30 territories worldwide. Previously we produced the popular series of Fishing in the footsteps of Mr Crabtree and with these new shows we hope to entertain anglers that are already hooked, to inspire those wanting to give it a go and to offer some advice and ideas without lecturing or pushing product. Our ethos is the Pursuit of your passion, camaraderie, fishing with family and mates, sharing information and experiences, being outdoors, and enjoying this great sport of ours. On this site check out some of the venues we have filmed at and some of the kit we have used in Series one, watch some clips, keep an eye out for competitions and how you could appear in one of the TV shows. And make sure you watch the new series of Pursuit every Sunday morning with repeats each following Saturday on Quest TV. Watch a repeat of episode 3, Our Carpman in Paris, this Saturday at 6am. And treat yourself to a brand new episode, Time and Pressure, on Sunday at 9am. In coming weeks check out our Film advice page, where our expert crew will be on hand to offer advice to budding filmmakers and anglers who enjoy filming and photographing their fishing and the natural history around them. 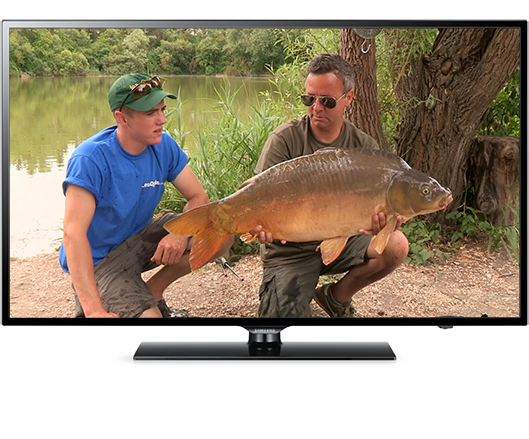 Pursuit Fishing focuses on top tips and the best moments from the fishing world. 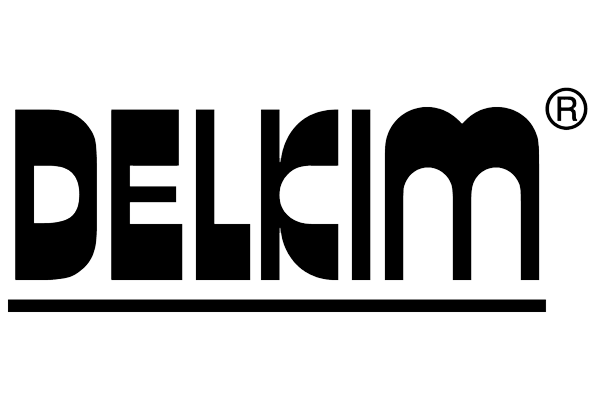 The new range of terminal tackle and apparel will be hitting the UK in the coming weeks and you will see it here first. Keep a look out on our social media and on the site for details and special offers. 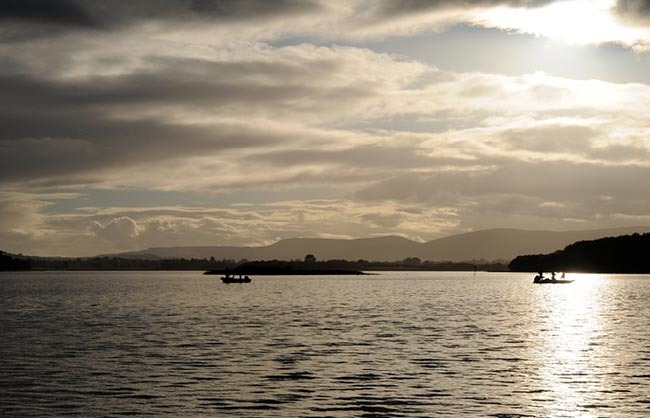 The Pursuit series sees the team fishing at some fantastic venues such as Broadlands, the Test and the Wensum in the UK, the great loughs of Ireland and some superb venues in France such as Lac du Peupliers, Planchette, Les Quis and Puyravaud. We try to make these shows with a view to them being entertaining to experienced and new anglers alike, and hopefully attract some new converts along the way. We selected waters at home and abroad to reflect the different venues available and across a variety of species, I concentrated on my preferred style of fishing and the crew and guests pursuing their favourite methods and species. John is one of the world’s most well-known angling personalities, journalists and tv presenters, having authored 50 books and having been published across multiple territories. He has starred in and presented several angling and travel TV shows here and abroad in a 40 year career and is, in our considered opinion, the best angling presenter out there. 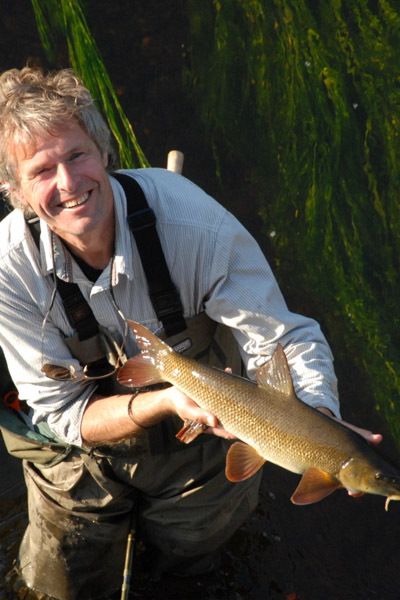 John is the presenter of our Mr Crabtree and Pursuit TV shows and authored the best-selling ‘Fishing In the Footsteps of Mr Crabtree’ book When not writing or presenting John spends much of his time guiding and teaching his guests on some of the best and beautiful waters in his native Norfolk. Lester is the executive producer and director of the Fishing in the Footsteps of Mr Crabtree and our new Pursuit TV series. He co-writes the shows with John and was a contributor and editor of the Crabtree book Having many years in broadcast and live event TV coupled with angling being a passion since childhood – creating the Crabtree shows has been the fulfilment of a long term plan. Lester spends most of his time behind the cameras but on occasion supports John and the team in front of the camera and getting in on the action. Graham is head of Operations at Pursuit and one of the resident experts on tackle development for the upcoming terminal range from Pursuit. Graham looks after the logistics and operations on the TV shows and makes sure everything ticks smoothly. An avid angler, having travelled the globe fishing for most things that swim he know spends most of his fishing time in pursuit of Carp. He also makes several appearances in the shows – especially when there’s a chance of a big Carp or two. Beds glorious beds, sleep systems and the very best bivvies – our crew are used to top hotels, Winnebago’s or location trailers. But with the beds and bivvies it’s like a Nash tent showroom on location. That combined with the Nash range of sacks, unhooking mats, cradles and nets means that the cast, crew and the main attraction – the fish, are all well looked after. Sound man Rog had never even camped out before and since getting his own Wideboy and high top (he is 6.5) he’s a changed man. He still has his dressing gown and demands decent showers but it’s now a Titan – ic Indulgence all the way! Big thumbs up from cast and crew to Kevin, Alan and the Nash team for keeping us comfortable, dry and well preserved ready for action! We use a variety of rods on location and JB, we and each of our guests mainly use their own rods. Alan Blair has featured in all of our series right back from the first Crabtree shows. 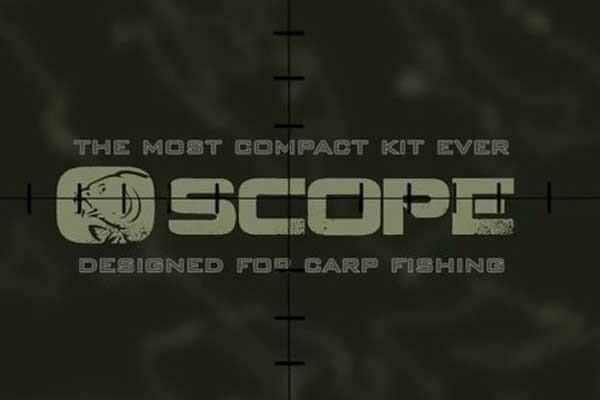 He has been integral along with Kevin Nash in the design, creation, development and production of the Scope range of rods (and associated kit). He uses them religiously across all of his varied fishing and swears by them. We have started playing around with these rods and our guys love them for casting and playing fish. They are also really versatile and come into their own in specialist conditions. We are going to be using them more and more. The alarms of choice for our last 4 TV series and in our view still the leader in the field. Reliable and have never let us down. We often film for long shoots and especially when on location abroad and in all sorts of conditions (see Series 4 – Meunier revisited) and we put the kit we use to the test. 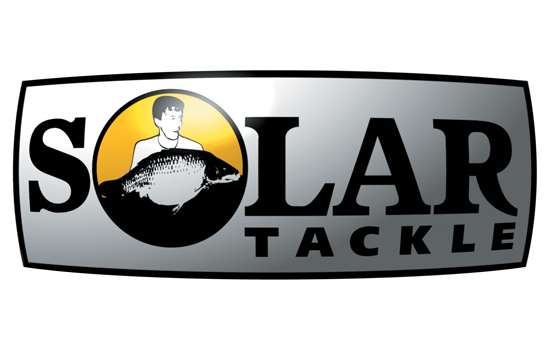 When fishing long periods of time and especially at night, you have to be able to trust your alarm systems. Even more so when filming and fishing because the one that got away is even harder to take when you have an expensive film schedule and no fish means a lot of wasted footage and time. 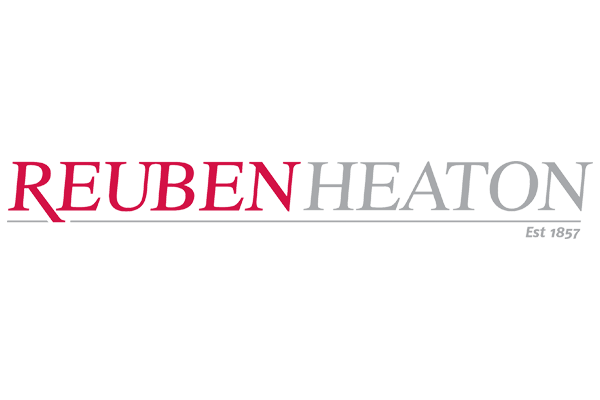 Not much needs to be said about the Reuben Heaton scales. Very much a mainstay and favourite of the Carp and specimen angler. The Reuben’s dial has become a bit of a trademark shot for our crew in filming the Pursuit series. The trophy shot, the release and the moment of magic when that Reuben dial whizzes round to record yet another PB are all as much a part of the film action as the indicators flying, bait runner purring and the angling sequences. On top of that you know when you weigh your fish it’s accurate to the ounce with a Reuben Heaton scale.